Sweet, salty, spicy, crunchy, chocolatey, smokey. Sriracha Bacon Bark hits them all. This is my second post for Choctoberfest and I wanted to GO BIG on flavor. And really step outside my normal recipe mindset of quick, easy, frugal, recipes for a busy mom. It isn’t extraordinarily hard to make it just involves a few steps. But it is so incredibly worth it, Sriracha Bacon Bark, make it! On Sunday I brought you Sriracha Bacon and said I had a spicy sweet treat for Tuesday. This Sriracha Bacon Bark is it! Choctoberfest is so much fun isn’t it? I mean when else do you find fun things like Sriracha Bacon Bark. Seriously though you can make this for friends, a potluck or a gift and it kind of stops people in their tracks. I love to bring a showstopper, don’t you? Friends are usually intrigued and also a little scared. Be sure to let them know it isn’t that spicy, just enough heat to make it tasty. And encourage them to try it. Be sure to read to the end of this post to enter to win a MASSIVE chocolate prize pack AND to see what everyone else is posting for Choctoberfest. There are over 70 food bloggers participating and you’ll find something new and tasty I’m sure. 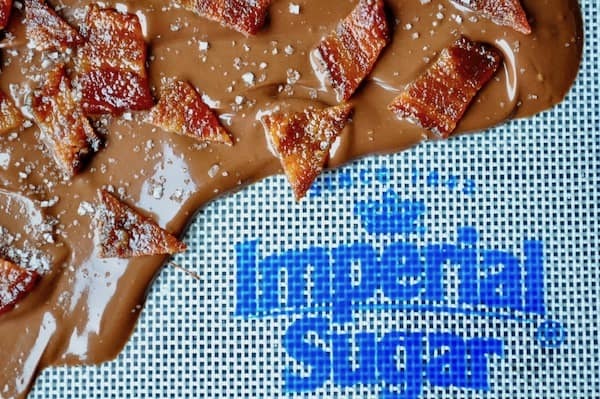 A big thank you as well to our GOLD sponsor, Imperial Sugar, their 100% cane sugar is non-gmo and makes this Sriracha Bacon Bark perfectly sweet. If you’re looking for lots of AWESOME seasonal recipe ideas check out their Instagram feed, so many cute ideas! Sweet, salty, spicy, crunchy, chocolatey, smokey, whatever you're looking for in a treat Sriracha Bacon Bark hits them all. This looks like a wonderful treat! Bookmarking to include as part of my homemade holiday gifts this year – the guys will love it! 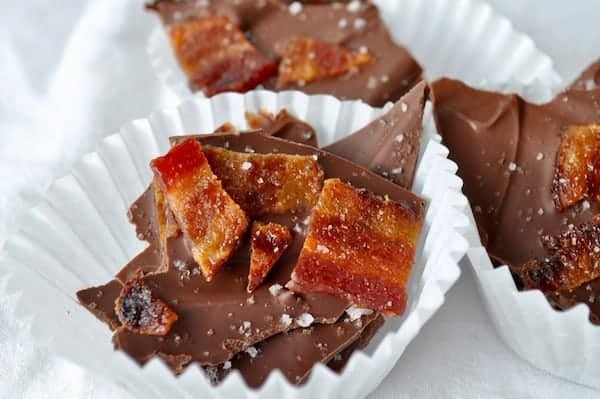 I love the idea of adding salty and savory to the chocolate bark. This is genius. I must make this! This looks so yummy! 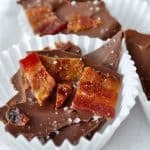 It doesn’t get any better than chocolate and bacon!! Well, my husband just saw this recipe so it looks like I’ve got to make it very, very soon. Looks great!! HOLY FLIPPING MOLEY! Sriracha bacon bark? Dude, you just put every other bark to shame 🙂 Your recipe looks and sounds so amazing!! I can’t wait to give it a try! Oh heavens, that looks so good! I can’t wait to make this and share it at Christmas!